The DISC ArXtor Lite Series sets a new standard for Blu-ray Archival Storage Systems. 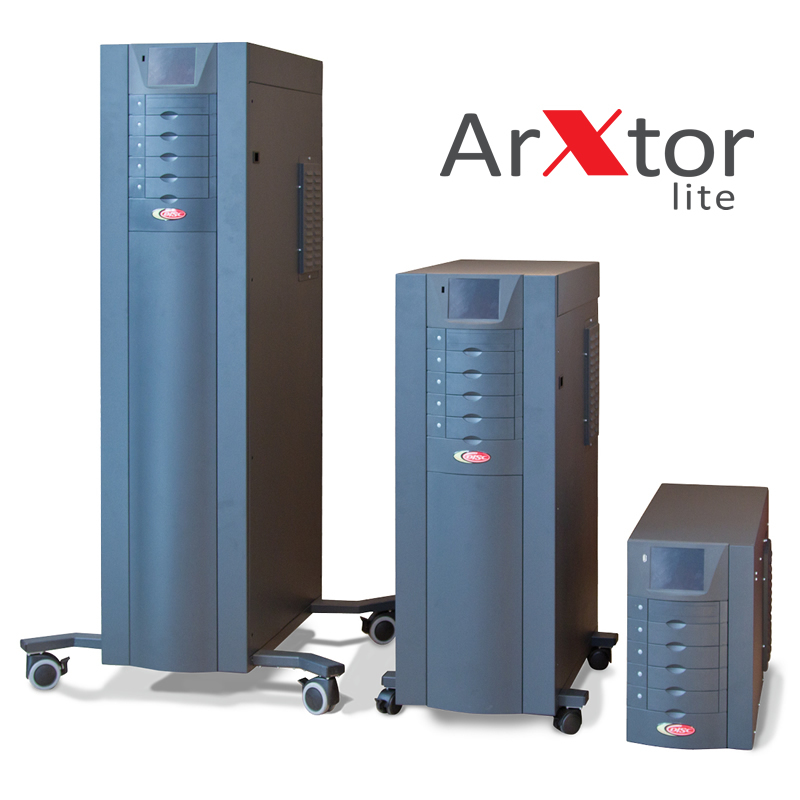 Based on DISC´s industry proven “touchless’’ media and reliable robotics technology, the ArXtor Lite Library is an archival storage automation solution for managing 120mm optical media (BD/BDXL/DVD/CD). Engineered and manufactured in Germany, the ArXtor Lite Libraries are network-attached storage devices, equipped with a webbased user interface to meet the remote management needs of today’s demanding IT environments. An integral iSCSI interface provides a simple, low cost and unifying GigE connection to most network environments, facilitating a standard storage protocol to any Windows and/or Linux system. 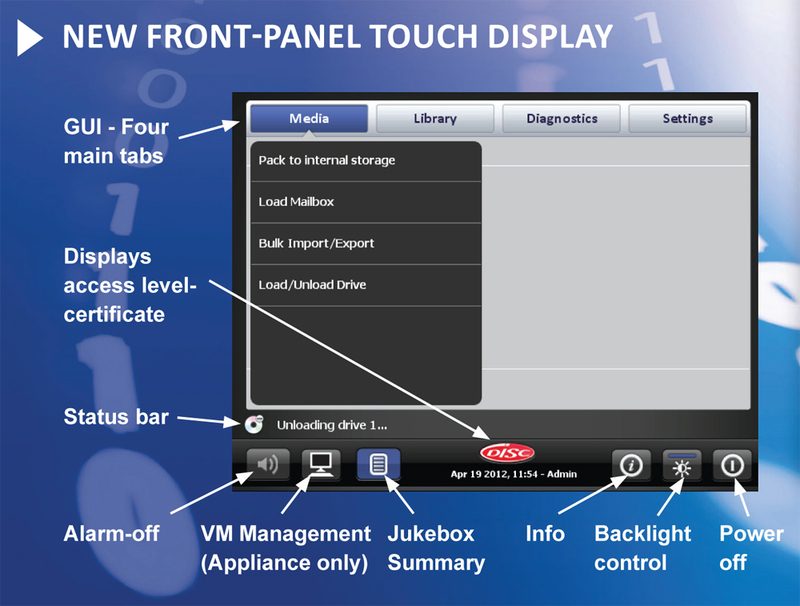 The web-based GUI is also available on the front-panel touch display, providing the basis for intuitive local and remote (Java client) setup and diagnostic capabilities, setting a new industry standard for intelligent support of Blu-ray Library systems.